With so many American families depending on early learning programs like the Head Start programs, it is important to stay on top of reports, such as the one from the House Budget Committee, has to say about these important social services. The report focused on a wide group of social service and educational programs and specifically addressed the Head Start and Child Care and Development Fund programs, two services that low-income families rely on heavily, especially in the current economic climate. 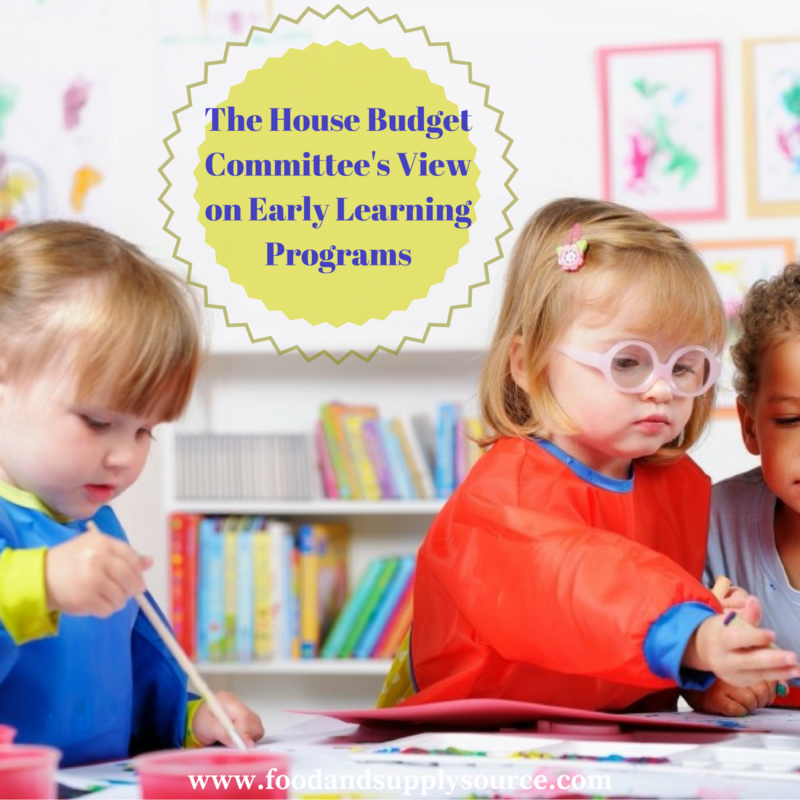 Here is a brief overview on what the House Budget Committee Report had to say about Head Start Programs and what it will mean to Head Start administrators who are already working on overcoming budget cuts and setbacks from recent federal budgets. The government committee was correct in this statement, as many different studies have proven that early childhood education through Head Start programs and other similar services prepare children for success in school and throughout their lifetime. The average gain for children who attend preschool programs is between 4-12 months of additional learning, with even more benefits for Hispanic children. Head Start administrators are familiar with these studies, which have established the long-term impacts of Head Start programs on American youth. Immediate academic gains and benefits that reach on up into adulthood have been seen in children who participate in these early learning programs, reducing dependence on public assistance, revealing lower crime rates and providing higher earnings than persons who did not have the benefit of Head Start programs and other early learning programs. America Needs a “Consolidated, Well-Funded, Early Childhood System“ The committee was right again in understanding that many of these early learning programs are underfunded, making it difficult for Head Start administrators to continue overcoming budget cuts year after year, especially with the need for Head Start programs on the rise. Recent data reveals that are current federal funding levels, Head Start programs in the United States are only reaching half of all the preschoolers that are eligible for the program and only four percent of the toddlers and infants who are eligible for Early Head Start programs. Studies reveal that many families are unable to afford child care centers for their children, which is where the Head Start programs come into play. High-quality child care, which includes education, health and nutrition programs, is often more expensive than “informal” child care arrangements with friends, family or neighbors, which often vary in quality and results. The committee needs to work at overcoming budget cuts for early learning programs and the Child Care and Development Fund to increase subsidy rates for low-income children and families so they can have the quality care that they need to grow and thrive. The most interesting thing about the House Budget Committee report is how it contradicts itself. In the beginning of the report it acknowledges all of the good work that early learning programs do for the children as individuals, the families within the community and the American people as a whole. Then it goes on later to state that it has an “insignificant impact,” citing studies that were done in other countries after praising the studies that were done on Head Start programs right here in the United States. It is puzzling why the committee decided to praise Head Start programs one minute and then literally, state that they have no impact on the children, families or communities involved. The truth of the matter is that early learning programs like Head Start programs are desperately underfunded in this country and the children and families who need it most aren’t being adequately reached. Overcoming budget cuts for Head Start administrators isn’t just about cutting back on office supplies or doing without special events or programs, in many instances it means decreasing valuable staff members, reducing the number of spots available for low-income families in the program or, in the worst case scenario, it has meant shutting the doors and closing down underfunded Head Start programs for good. When Head Start programs join the FREE service at SupplySource Plus, they gain access to new ways to reduce spending on the things they buy the most. From office supplies to janitorial supplies, paper products and even food items through our sister program at FoodSource Plus, Head Start administrators can harness the purchasing power of thousands of other human services organizations that are using SupplySource Plus to purchase the same types of items. Savings are realized by as much as 10-35 percent of your annual spending budget, giving you more money to keep staff employed, keep children in your program and keep the doors open for your local Head Start programs. Call SupplySource Plus today or use the online form to request additional information about how to get started. We provide a FREE Cost Analysis of your current spending habits and help you find new ways to save. All of our services are totally FREE. Give us a call at 1-866-248-4520 and learn how SupplySource Plus is helping organizations like yours in overcoming budget cuts nationwide!